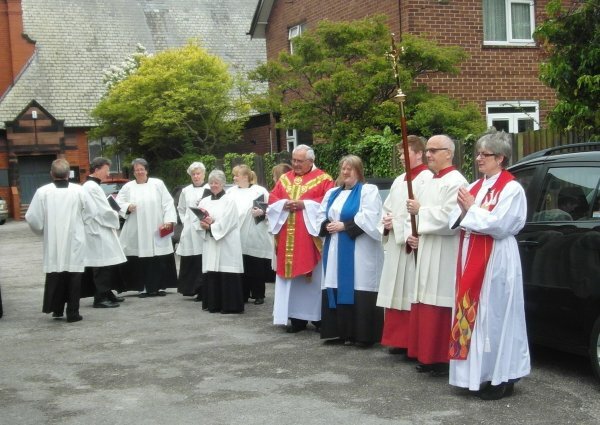 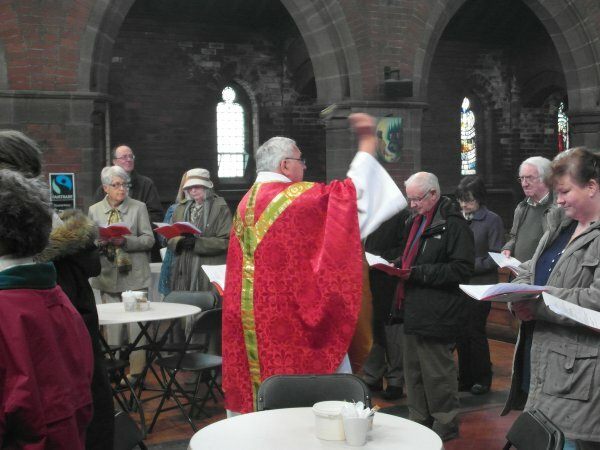 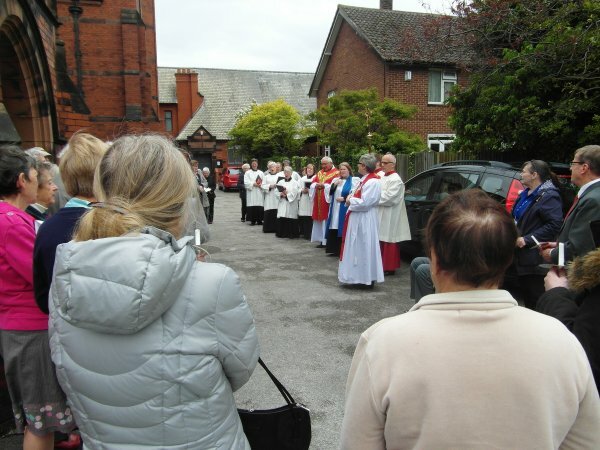 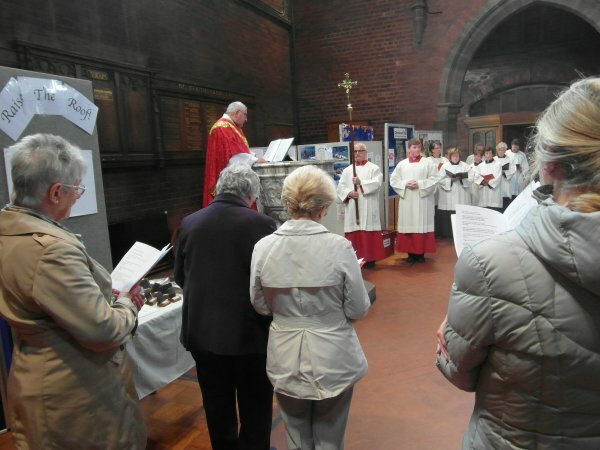 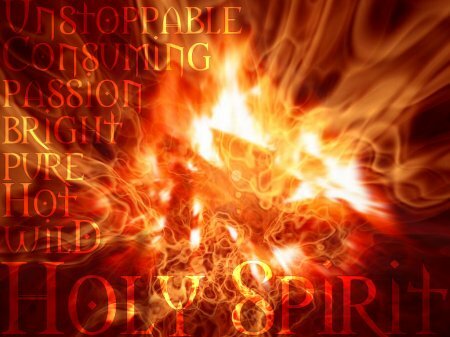 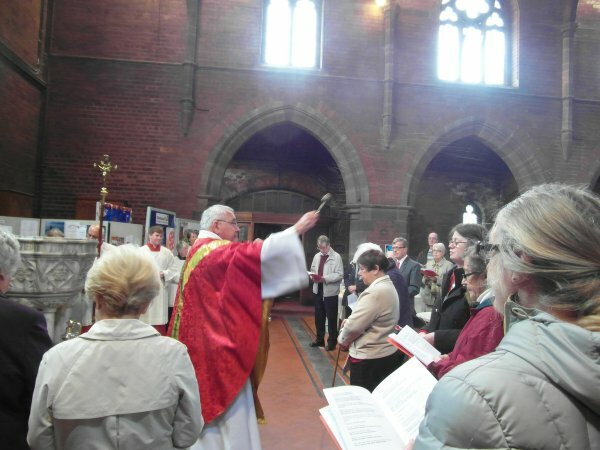 Images of the celebrations of the church's birthday and the coming of the Holy Spirit. 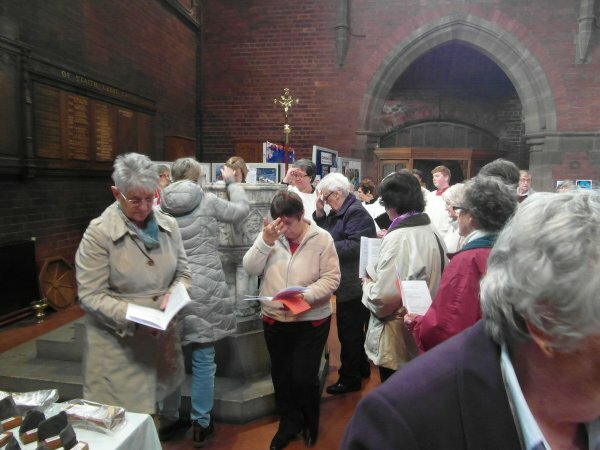 Following the reaffirmation of our baptisms, we were doused with water by Fr Dennis, and renewed our vows in the waters of the font. 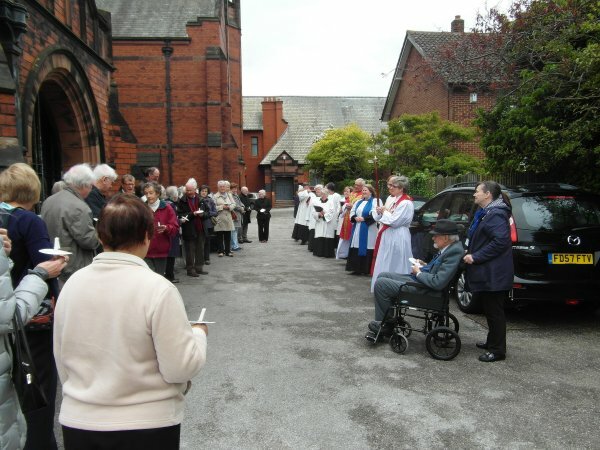 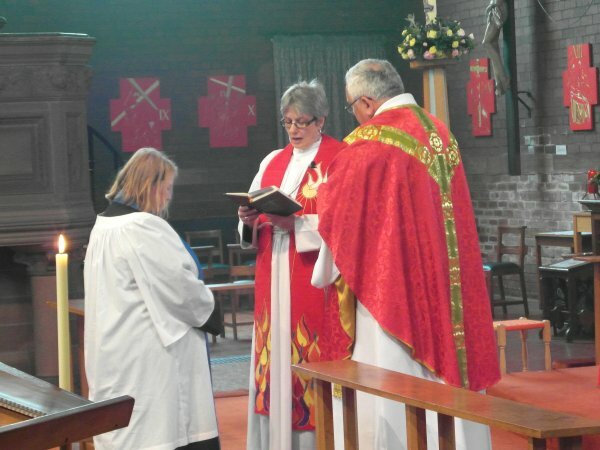 to begin her pastoral training in Ashton-in-Makerfield at the beginning of her training for the priesthood. 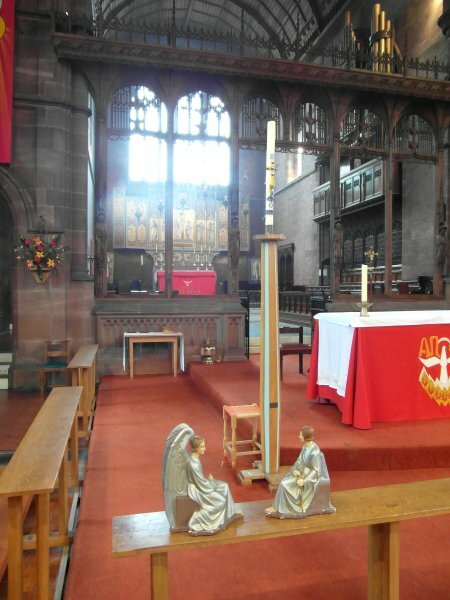 and the attendant angels paused briefly in front of the extinguished candle on their way to their back stage resting place - until next Easter.